The Health and Science Communications Association is an association of communications professionals committed to sharing knowledge and resources in the health and science arenas. The foundation for our network is built upon our unique membership which has created opportunities for unlimited exchange of information and support. Come celebrate HeSCA’s 55 years as leader in health and science communicators. Please join us as we honor HeSCA’s history and bring closure to our organization. Details are under development, but we want you to get the dates on your calendar as soon as possible. To encourage attendance, registration fees will be minimal. RSVP: We need to know how many are likely to attend, so please RSVP. Send an email to hesca@hesca.org telling us if you definitely will, may or won’t come. A new issue of Feedback is online with the latest news from our organization. Download it here. Past issues are on our Publications page. The recent member survey showed that our members want HeSCA’s primary social media presence to be on LinkedIn. In response, we are moving our listserv discussions to LinkedIn. Please join us. Simply sign in to LinkedIn, search “HeSCA” and click join. Then ask a question, post a response, or just browse through ongoing discussions. 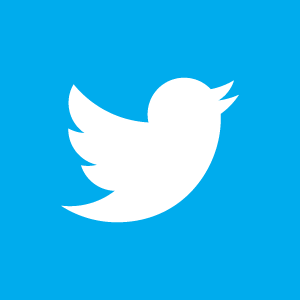 We look forward to hearing from you online! 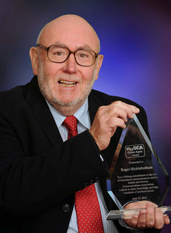 Congratulations to HeSCA’s 2012 Golden Raster recipient, Roger Hickinbotham from the UK. As a “raster” provides stability and form to the electronic image so the “Golden Raster” recognizes individuals who have provided stability and inspiration to HeSCA through imaginative leadership, unswerving service, and contributions of innovation to our field. The Golden Raster Award represents the culmination of distinguished service and distinguished achievement. Congratulations to the recipients of HeSCA’s 2012 Service Awards, announced at the 53rd International Conference on Health & Science Communications. HeSCA’s most prestigious honor, the Golden Raster represents the culmination of distinguished service and distinguished achievement. HeSCA’s Special Achievement award recognizes individuals who have accomplished a significant goal or established a landmark in the field of biocommunications. The Literary Award goes to the author of the best article by a HeSCA member published in our journal. 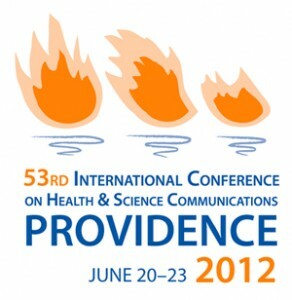 The winners of the 2012 HeSCA Media Festival were announced at the 53rd International Conference on Health & Science Communications in Providence, Rhode Island. A complete list of the winners can be found here or downloaded here. Conference off to a GREAT start! A group of dedicated HeSCAn’s are gathering in Providence, Rhode Island for the start of a fabulous annual meeting. Our first day saw a strong focus on social media best practices and how to best realize a strong ROI from your social media investments. After all… it’s not just for socializing anymore. It’s a valuable business tool! The cartooning workshop proved there is a creative streak where you least expect it. And the evening networking event showcased our competitive sides. Congratulations to the Red team for winning the team building challenge! To make voting as efficient (i.e. easy) as possible, we have posted an online survey at http://www.surveymonkey.com/s/CTM2YNC. According to the current Bylaws, we need over half the membership to vote to approve or deny these recommendations, So please go to the survey and vote Yes or No. It will take less than 30 seconds of your time. Did you put off making your hotel reservation for the upcoming conference? And now you’re afraid you’ve missed the deadline for great hotel rates? Well, here’s some great news! The deadline for preferred rates at the Biltmore Hotel in Providence is extended to this Friday, May 25. Reserve your room now! The conference registration deadline is also this Friday, so simplify your life and register for both now. As with all HeSCA conferences, this year’s meeting promises a great program and terrific networking opportunities. Sessions will focus on social media, strategic planning, teambuilding, creative uses of media (from cartooning to eTextbooks, and interactive timelines to rare book photography), mobile technology, viral video, and much, much more. Don’t miss out! Check it all out on the Providence 2012 website.